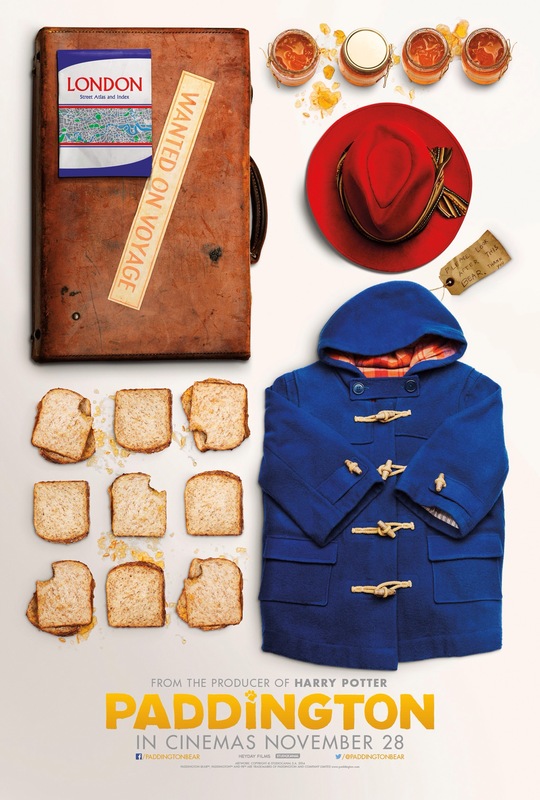 The story begins in Darkest Peru where Paddington’s Aunt Lucy and Uncle Pastuzo are discovered by ‘the explorer’. From him they develop a love of the English language (spoken perfectly properly), London and (of course) Marmalade. Cut to 40 years later and Lucy and Pastuzo have adopted their orphaned nephew. Theirs is an idyllic life of marmalade making and dreaming of a trip to London. But when disaster strikes, Lucy decides to move into a home for retired bears and Paddington stows away on a ship to London because, as Aunt Lucy tells him, Londoners “will not have forgotten how to treat a stranger”. The film features a great cast with Hugh Bonneville the human stand out as Mr Brown. I also loved Peter Capaldi’s turn as the Brown’s neighbour Mr Curry who develops something of a crush on Millicent. In fact, one of my few criticisms is that I would have liked to have seen him a bit more! Julie Walters as the Browns’ housekeeper Mrs Bird gets one big scene and there are also cameos from the likes of Matt Lucas, Matt King (Peep Show’s Super Hans) and Jim Broadbent as the kindly Mr Gruber who tells Paddington “a home is more than just a roof over your head”. To sum it up, Paddington is a film that the whole family can enjoy. There’s plenty of slapstick for the little ones, laughs for the adults and a message for everyone. As Paddington says “I will never be like other people but that’s ok”. Well the 21st century Paddington is just like the bear we all grew up with. Thank you Paul King and David Heyman for staying true to the bear we all love. Now, when is Paddington 2 out?